Trying to figure out whether or not you should implement Google Adwords for your online business? Like SEO, Pay-Per-Click (also known as PPC) advertising is an integral part of gaining success and more internet traffic. However, there are certain conditions that make the use of Google Ads more advantageous for some sites than others. You see them everywhere in the search results — those little ads at the top and bottom. Whether you personally find them useful during your searches or not, these little images and ads drive business to companies throughout the world. Whenever someone searches for, let’s say, a “graphic designer in Ottawa,” companies that are advertising those keywords or have a product that matches the result, the top sites get to display ads at the top of SERP (search engine results page). PPC is arguably far more measurable than SEO. Google AdWords and other PPC marketing networks have metrics that let you see how much traffic ads are generating. You can easily access information like how many have seen your ad, clicks, and other actions. Ads can also be tracked in real-time, giving you immediate information. Using new ads helps get people back to your site, especially if your first round of advertising didn’t go as well as planned. By using PPC marketing to reach out to previous customers, you are continually offering something of use. This increases conversion rates. This, in turn, aids growth locally and globally. AdWords works almost instantly. Further, who doesn’t want their product on the first page of the most popular search engine ever? With Google handling billions of searching every single day, the changes of increasing your exposure is phenomenal. Setting up an AdWords campaign is rather painless. There are several elements to AdWords, like keyword research, ad groups, and other things, but every single block is fairly easy to start. Simply run a test on some keywords, set a budget, make your campaign with the handy tools, and boom–you have an ad. When your campaign is over, those ads disappear. Also, when you stop paying, those ads vanish. While SEO can draw people in forever, PPC marketing can be very short-lived. And since you have to pay for it, you want the duration of that ad’s life to be a successful as possible. 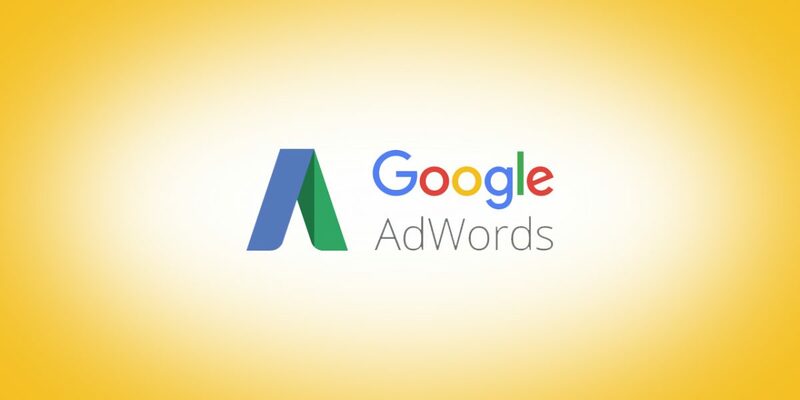 If you are in an already competitive market, chances are that your opponents are already using Google AdWords. The result is the cost of PPC going up and up. Therefore, if you keyword bid and budget is too low, that ad campaign is going to flop. Did you know you’re restricted to a number of characters, just like a newspaper ad? You get two 30 character headlines and a single 80-character description, as well as a customizable URL. It needs to be attention-grabbing, or you lose out. Hopefully, these pros and cons will give you some insight on whether or not PPC marketing is right for you. For boosting online presence and generating a higher conversion rate, PPC marketing is very beneficial. However, if your budget is too low, or if you are part of a very competitive industry, there may be better ways to break into the online market. Would you like to talk to us more about your business goals and whether PPC Marketing would work for you? 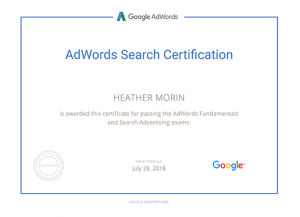 We are Google Adwords Certified and would be happy to discuss it with you. Email heather@nddesign.ca to ask any questions or to set up a call.